Toothache: Clean the area of the affected tooth. Rinse the mouth thoroughly with warm water or use dental floss to dislodge any food that may be impacted. 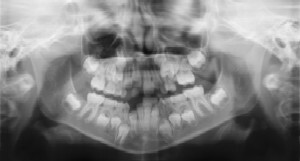 If the pain still exists, contact your child's dentist. Do not place aspirin or heat on the gum or on the aching tooth. If the face is swollen apply cold compresses and contact your dentist immediately. Cut or Bitten Tongue, Lip or Cheek: Apply ice to injured areas to help control swelling. If there is bleeding apply firm but gentle pressure with a gauze or cloth. If bleeding cannot be controlled by simple pressure, call a doctor or visit the hospital emergency room. 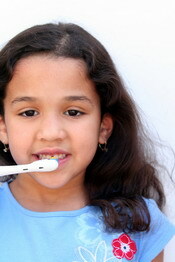 Tooth brushing is one of the most important tasks for good oral health. Many toothpastes, an d/or tooth polishes, however, can damage young smiles. They contain harsh abrasives which can wear away young tooth enamel. When looking for a toothpaste for your child make sure to pick one that is recommended by the American Dental Association. These toothpastes have undergone testing to insure they are safe to use. Flossing removes plaque between the teeth where a toothbrush cant reach. Flossing should begin when any two teeth touch. 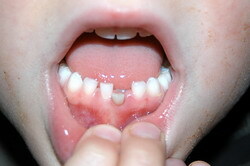 You should floss the childs teeth until he or she can do it alone. Use about 18 inches of floss, winding most of it around the middle fingers of both hands. Hold the floss lightly between the thumbs and forefingers. Use a gentle, back-and-forth motion to guide the floss between the teeth. Curve the floss into a C-shape and slide it into the space between the gum and tooth until you feel resistance. Gently scrape the floss against the side of the tooth. 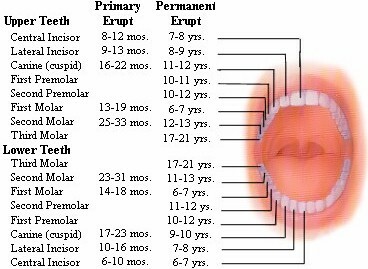 Repeat this procedure on each tooth. Dont forget the backs of the last four teeth. Xylitol is widely distributed throughout nature in small amounts. Some of the best sources are fruits, berries, mushrooms lettuce, hardwoods, and corn cobs. One cup of raspberries contains less than one gram of xylitol.